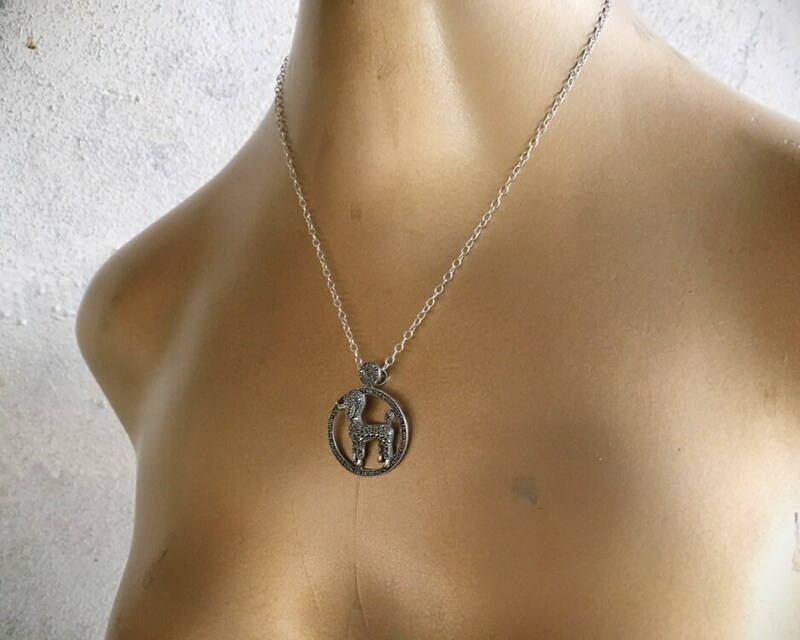 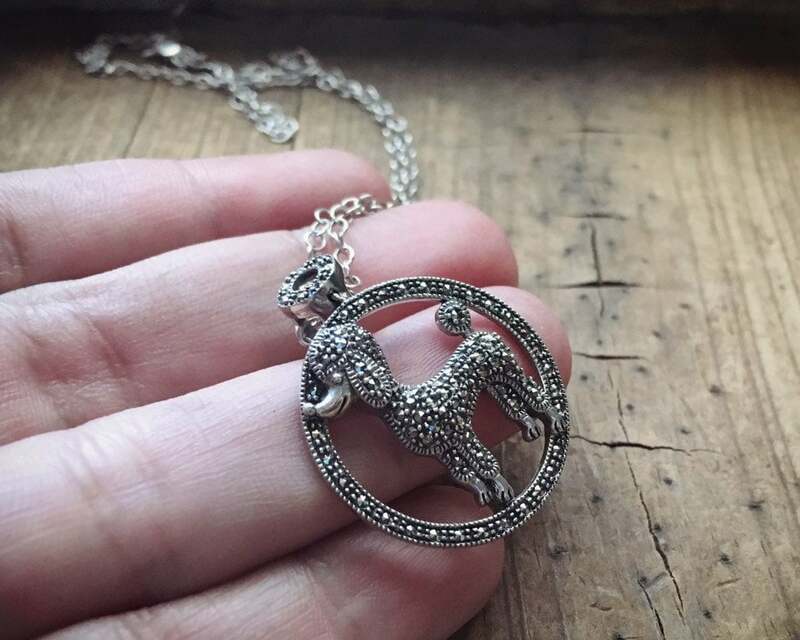 This pendant is absolutely adorable, in sterling silver and with a symbol hallmark as well as what looks like a TJ on the interior back. 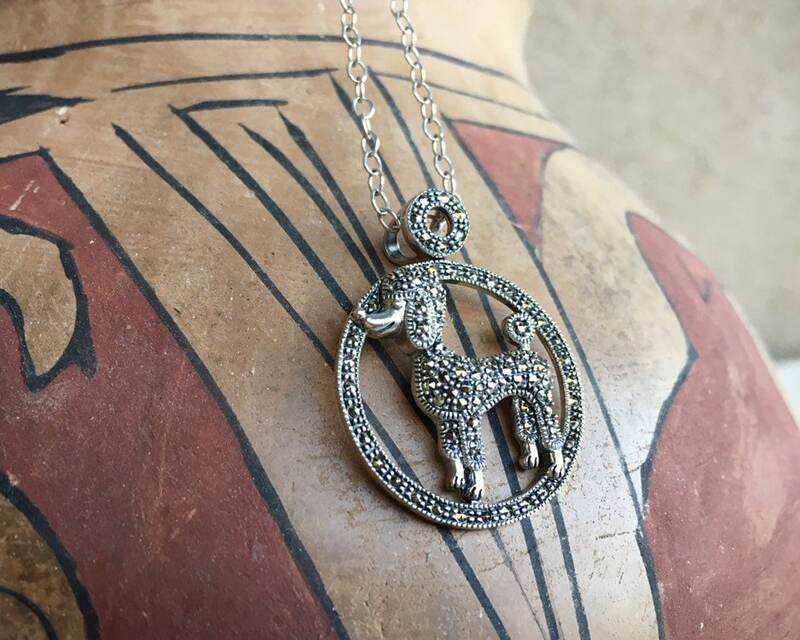 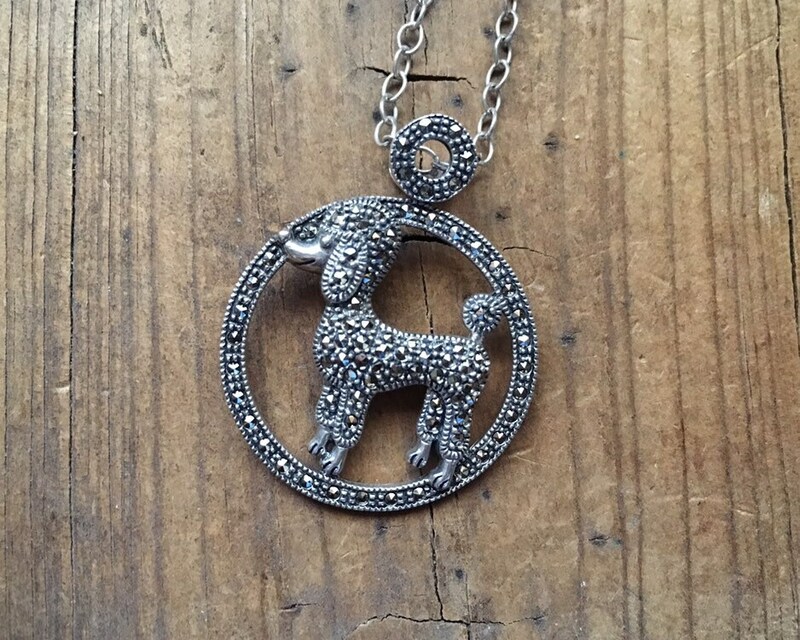 The pendant features a poodle, and if I'm not mistaken it's a standard poodle, in the center of a circle border. 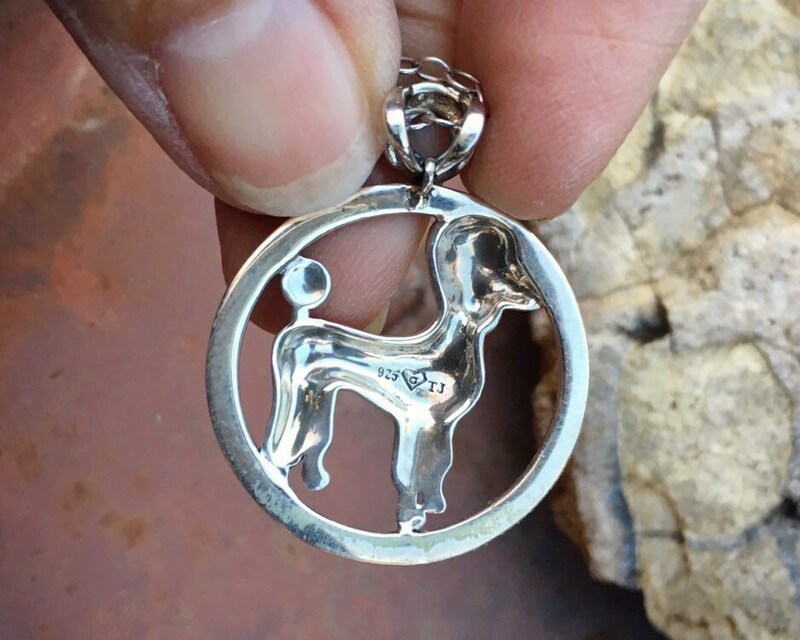 The poodle has a smile on its face and acute nose. 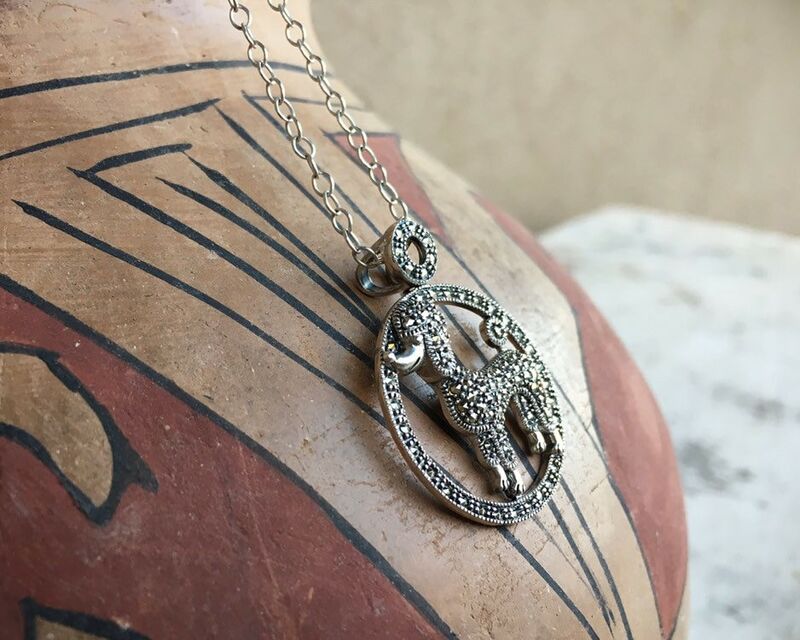 The piece glimmers with marcasite. 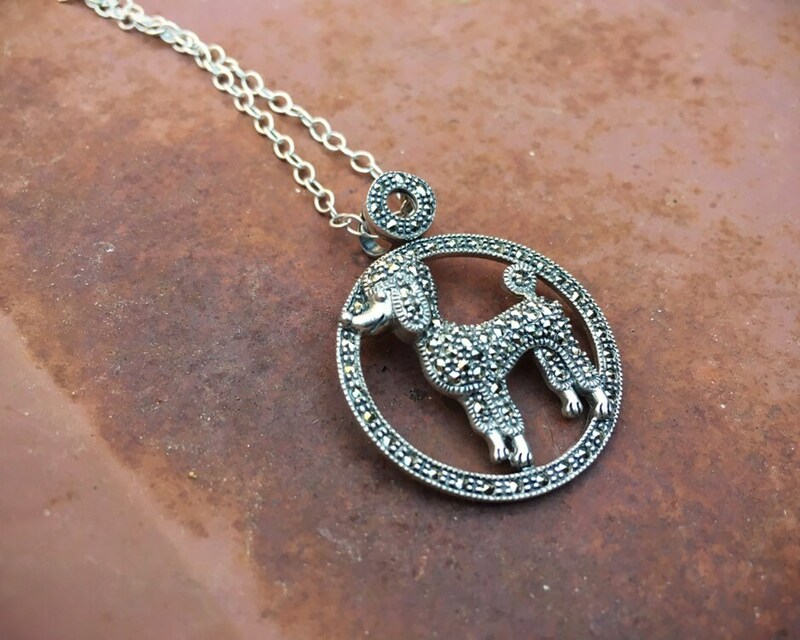 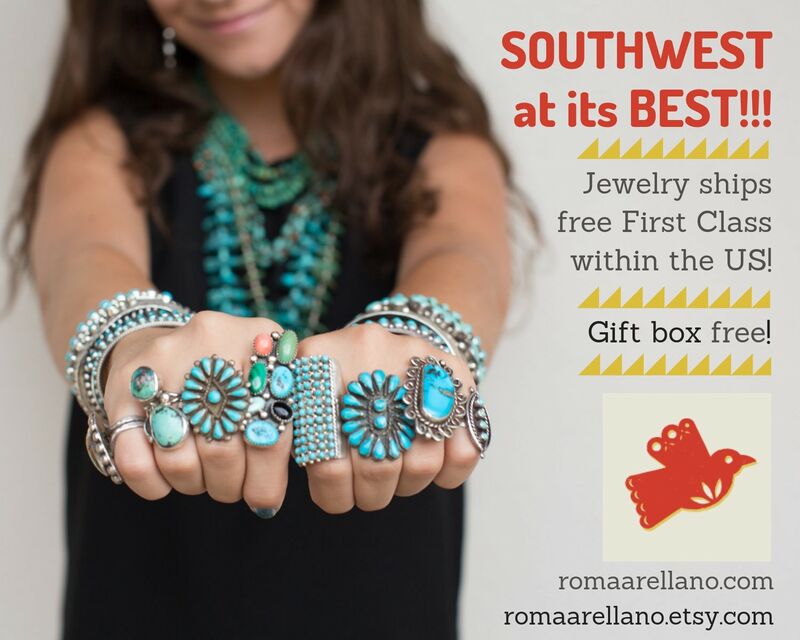 The perfect gift for a poodle mom or wife or sister or sister-in-law...or friend...or yourself! 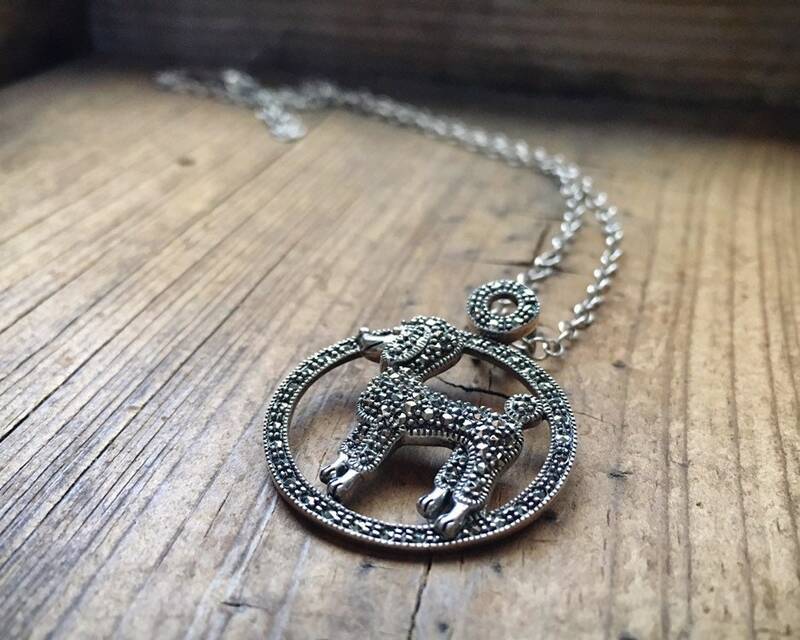 The pendant is 7/8" wide and closer to 1-1/8" long including the bail, and the original chain, also marked 925, is about 17" long. 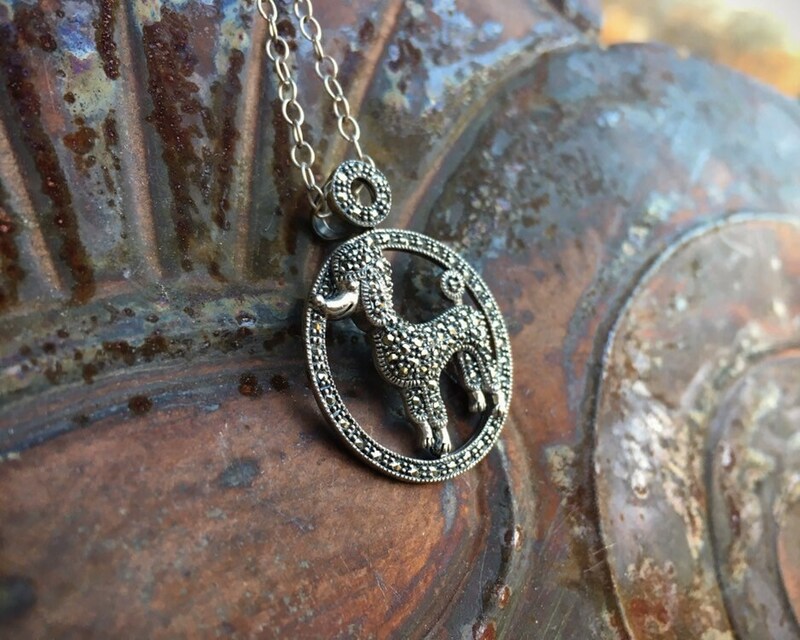 The silver has a lovely patina and the marcasite sparkle is gorgeous.